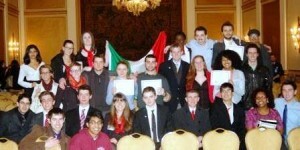 The Clark University Model UN Team competed in the Harvard National Model UN Conference in February. A delegation of 28 members of the Clark University Model UN Team attended the 59th session of the prestigious Harvard National Model UN Conference (HNMUN 2013), which took place February 14 to 17 at the historic Park Plaza Hotel in downtown Boston. “Our team did an exceptional job this year,” said Clark Model UN faculty adviser Srini Sitaraman, associate professor of Political Science. Clark University students won awards in highly competitive committees at the HNMUN 2013 Conference: Samer Said ’13 and Marialejandra Poleo ’15 won Outstanding Delegate Awards in the UN Human Rights Council; Mayya Abdullaeva ’13 received the Outstanding Delegate Award in the European Court of Human Rights. In addition, Melat Seyoum ’14 and Seble Alemu ’13 (Status of Committee on Women), Yohan Senarath ’14 (Historic Security Council of 1996), Dylan Sansone ’14 and Bryan Diehl ’14 were awarded Honorable Mentions in their respective committees. Each year the HNMUN conference welcomes more than 3000 student delegates from all over the world, with representation from 48 countries representing the 193 UN member states. 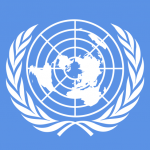 Clark University will also host the Middle School Model UN Conference on March 23 with the cooperation of the U.N. Association of Greater Boston. About 130 students from seven schools will participate in the conference.